There are 2 basic types of wood flooring: solid flooring and engineered flooring. 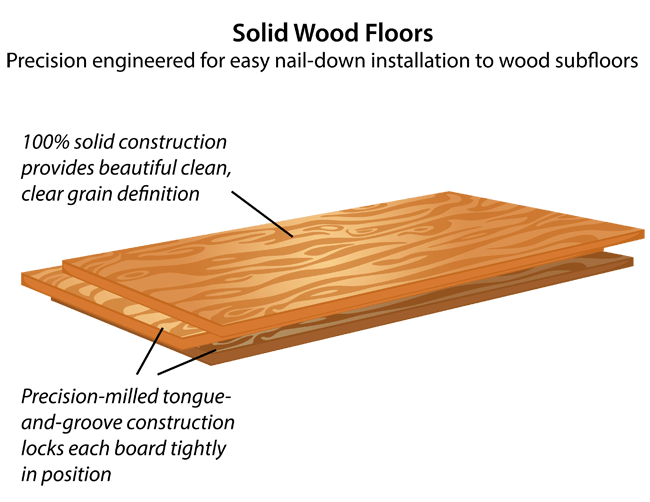 Solid Flooring is one piece of wood from top to bottom. 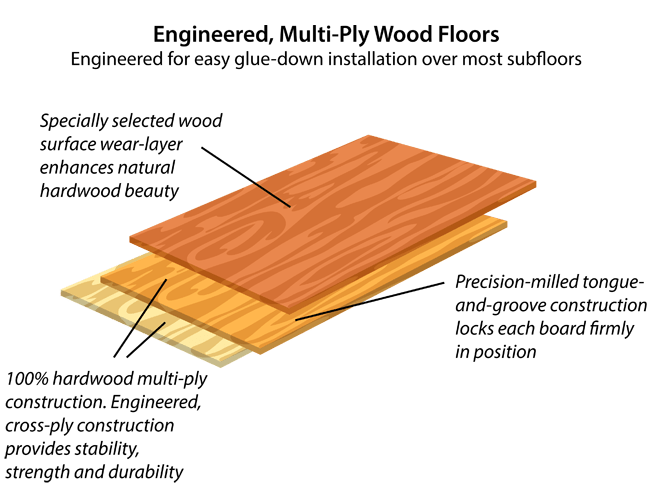 In most cases, solid flooring is nailed down to a subfloor. It is excellent for most areas of a home on the ground level or above. Solid flooring lets you customize your floor with borders, patterns and corner treatments. Engineered Flooring is a product that consists of layers of wood laminated together. It is ideal for glue-down installation or float-in installation above grade, on grade, or below grade—including basements and humid climates. Because the layers run in different directions, engineered flooring is more dimensionally stable than solid wood. Working on a Flooring Project? Our hardwood floors win awards. We’ve won more awards for our floors than any other flooring store in San Jose and surrounding areas. We install and service all of Santa Clara and San Mateo Counties. the Silicon Valley for Over 30 Years. © 2000- Slaughterbeck Floors, Inc.